We’ve all been there: Looking at your laptop with nothing to type. Reading your full agenda with no motivation to start your to-do list. Laying in your bed with no end in sight to senseless scrolling through social media. And it doesn’t bother you—and then it bothers you that it doesn’t bother you. This post includes affiliate links; I may earn a small commission for items purchased through included links. All opinions are my own. 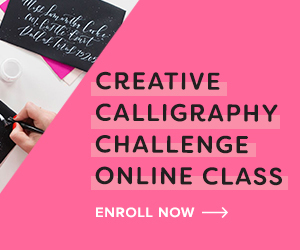 This is the easiest way to spark some creativity once more, and the sky’s the limit. Maybe try a fun new DIY craft and dream about a future vacation. Or heck, just pin some furry little friends! Another great way to get ambition and to spark inspiration is to look to others who are chasing their dreams. I spend a lot of time blogging, but reading other people’s blogs is a great way to get new ideas and to simply entertain yourself. I can’t think of a time I read Helene in Between and wasn’t jazzed because creativity truly radiates. Even more, look to bright brands to get the ideas flowing. 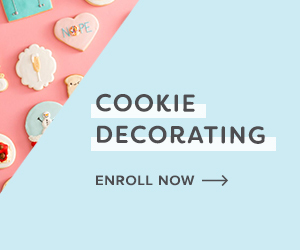 Some of my favorite brands that inspire me to embrace my creative side are Ban.do, Greetabl and Brit+Co (where you can sign up for fun online classes like calligraphy and cookie decorating!). Sometimes you need to take a break from your own story to dive into another’s, and I believe good writing inspires good writing. Read a book for pleasure—what a concept! Pick up a magazine and leisurely flip through it. It gives you both a break and creativity boost. Some of my favorites are Darling and Verily. If you’re burned out and overwhelmed, take inventory of your life, which almost certainly means your work and home space. Clear off your desk, organize your drawers, redecorate your walls. A clean space allows your brain to breathe and to do its best work. Make a list of things that must be accomplished, but be realistic in your goals. When I get overwhelmed, it’s often because I have 8 million incomplete tasks floating around in my uncluttered brain. Take a deep breath and a deeper look at what truly needs to be accomplished and what’s just unnecessary stress. I know it feels like you just can’t take a break, but listen here, burnout gets no one anywhere; it drains you and drains others. If you’re burned out, take a break. Even if you can’t take a day off, be sure to amp up the self-care. Take a walk or exercise at a gym. Embrace your childhood and work on an adult coloring page. Bake a new recipe or journal about your day. Simply adding a new album to your playlist is an easy way to spice up your life! One of the most effective ways to recharge and to find your creativity again is to surround yourself with passionate people. Talk to family and friends about what excites them. Seeing the sparkle in the eyes of those close to me reminds me of the passion I have even though I don’t currently feel it. You don’t even have to leave your room to be inspired by others’ stories. Read about one woman who worked a summer in Italy and spent her weekends traveling solo. Or the woman who road tripped through Iceland with her lifelong friends. Burnout can be one of the most frustrating feelings, but it’s a sign you need a breather. With these six resources, you can refresh yourself and find that creativity and passion inside. Previous postQUIZ: Which City Are You Crushing On?